“Searl is the epitome of a deep coaching professional established through years of business experience and just plain practical wisdom. Her professionalism and kind demeanor made everyone feel instantly comfortable in a recently led YPO forum retreat. The Inner Landscape exercise she created resonated well with our group and generated thoughtful and deep discussion. 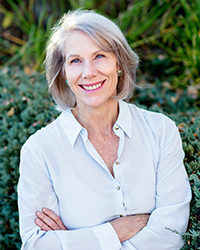 After a day with Searl, we left with renewed vigor and enthusiasm and would definitely work with her again.” – Teresa R.
With 15 years of coaching experience, multiple YPO awards, and a degree from Harvard Business School, Searl brings a diverse body of both business intelligence and emotional intelligence to all of her clients. Searl specializes in working with individuals and businesses in moments of transition, small executive forums, and women seeking new paths and new heights. In all Searl’s engagements, she challenges, empowers and drives her clients to redefine what they expect is possible. Searl currently works with individuals, YPO Forum groups. She founded and runs WomenThrive Leadership a 6 month combines the latest in leadership development. .
Searl has extensively trained in the Enneagram, Shadow Work, meditation, and numerous other personal and business methodologies. Searl has trained under Roxanne Howe-Murphy (Deep Coaching), Don Riso and Russ Hudson (Enneagram Institute), Gita Bellin (Personal Mastery), and Thich Nhat Hanh (Buddhist philosophy). She leads groups of executives through the African Wilderness Trail to experience through nature a higher source of understanding, compassion, inspiration, tolerance and direction. She is trained in NLP techniques. Two years in a row, Searl was selected to run the YPO Global Leadership Conference forum officers’ training. She has launched and run 4 businesses. Her entrepreneurial ventures include a venture capital firm in Eastern Europe and RISEBeyond, a global collaboration firm, cofounded with the YPO Global Chairman. This is the foundation of awakening success in people and business.